Can you see the snake? Look closely! Can you spot the snake? Here is a hint, it's smaller than you think! There’s clearly a snake in the grass... but can you ssseee it? 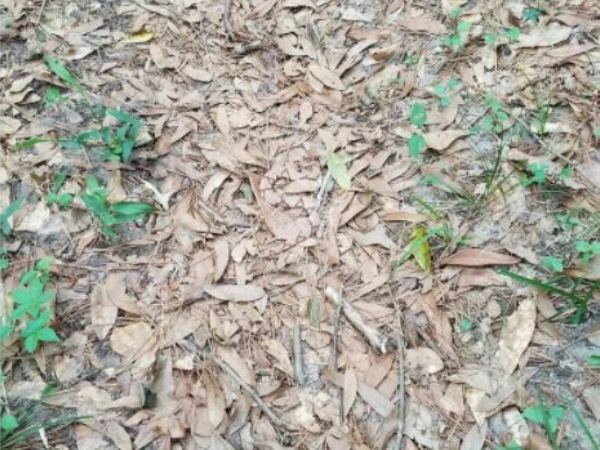 This had hundreds of Twitter users scratching their heads and frantically trying to spot the snake. Twitter user SsssnakeySci, tweeted the photo. According to her bio she is a biology student from Florida in the US, who’s busy with her doctorate in the study of snakes. In the image it appears to be just a pile of dry grass, but SssnakeySci challenged her followers to find the slithery creature in the picture. And it was no easy task! Milton W. Oldham commented that he sees nothing but leaves and many other Twitter users agreed with him. Only when a second photo was posted a few days later, one which indicated the snake’s position, that's when people could actually see the danger hidden in the seemingly harmless photograph. Can you spot the snake? Here's a hint -- it's smaller than you think!